FULLER’S EARTH DISCOVERY at Tararu, Thames. 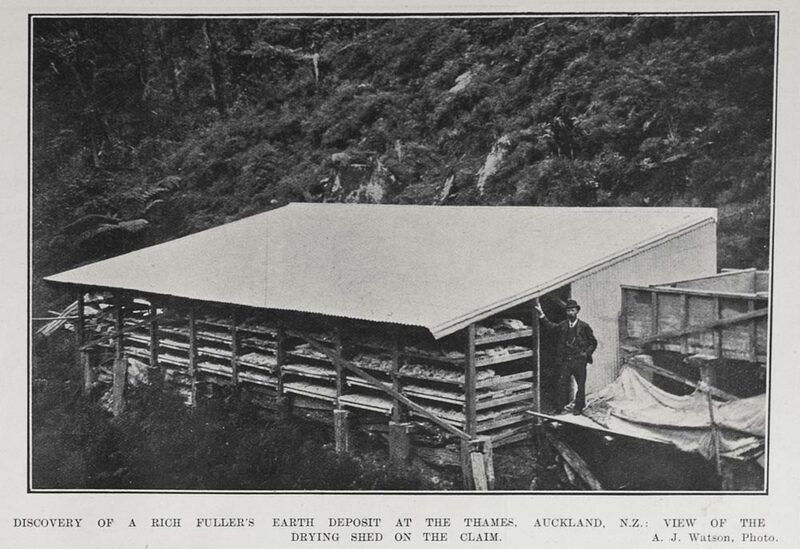 A photo in the 1907 Auckland Weekly News spread the word that a great discovery of Fuller's Earth had been made at The Thames. So what is Fuller's Earth? In the Thames Star 28 May 1906, there was an article about a Gisborne syndicate who were ready to mine a mountain of mineral known as ‘Fuller’s Earth.’ It required crushing and screening before it could be sold for toilet purposes and used in woollen works. Ironically it was mentioned that Thames miners had known about this resource, but were only interested in mining for gold! A strange twist of fate led to a group in Gisborne hearing the news that there was a deposit of this special mineral at the Thames. A full report on the operation appeared in the Thames Star 2 October 1906. March 1907 a notice appeared in the paper requesting all accounts be sent to Mr F J Teat, Chairman of the Fullers Earth syndicate. The Thames Star 19 June 1909 reported on an auction of plant and equipment on New Chum Mineral lease, No 791 Tararu Creek. Included in the auction list were 120 bags of Fullers Earth. Whether the mine sold at auction is not yet known. In 1914 Mr J A Shand applied for a mining license for British Fuller’s Earth. (Thames Star 23 November 1914) Then in 1915, the paper reported further interest in the Fuller’s Earth mine at Tararu. (Thames Star 12 January 1915) Again it is not yet known the outcome of this renewed interest in the mine. How successful or how long the mining operation continued has yet to be researched, contributions to complete the story would be welcomed. 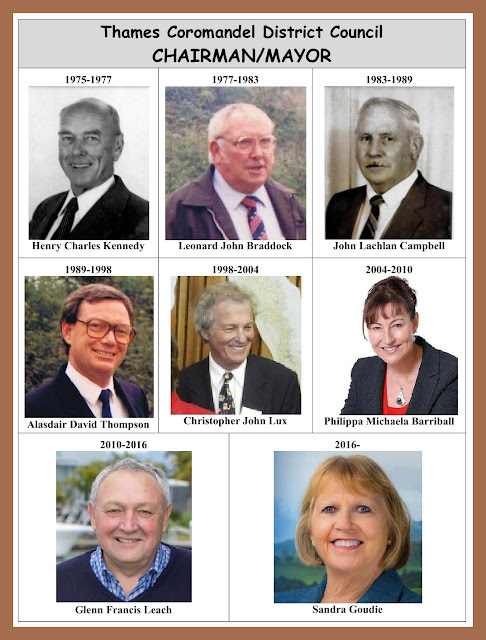 It is an interesting story if nothing else how men desperate for riches turned down the opportunity to mine the mineral in the 1890s, for fear they would miss their chance at finding GOLD!